We were commissioned to deliver a new Website Design for E.N. Garden Designs. E.N. 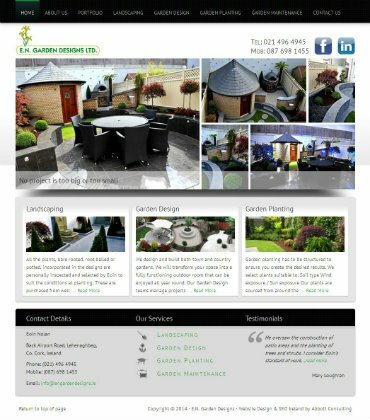 Garden Designs Ltd is one of Cork’s premier garden design companies who specialize in creating imaginative and practical gardens tailor made to suit the individual requirements and tastes of the client. Our brief from the client was to deliver a new Website Design and SEO which would demonstrate the garden design skills of E.N. Garden Designs and provide them with a search engine friendly Website Design that would rank well organically and generate leads and sales for their business.